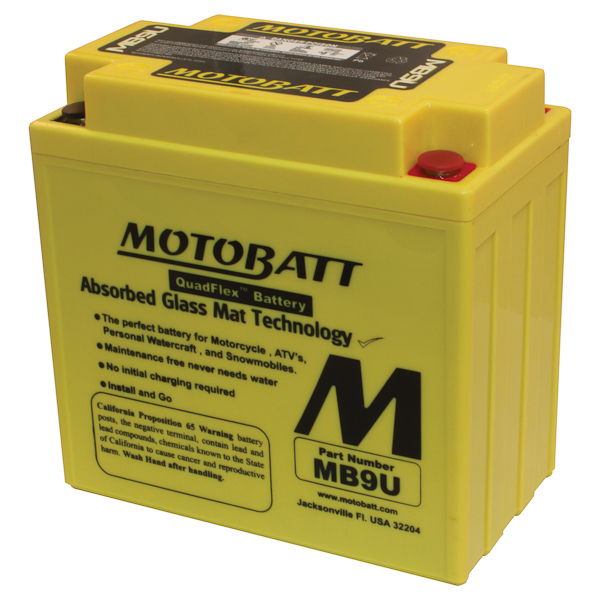 Choose a motorcycle or snowmobile battery with the Triple Threat of high vibration, high starting loads, and high accessory loads. 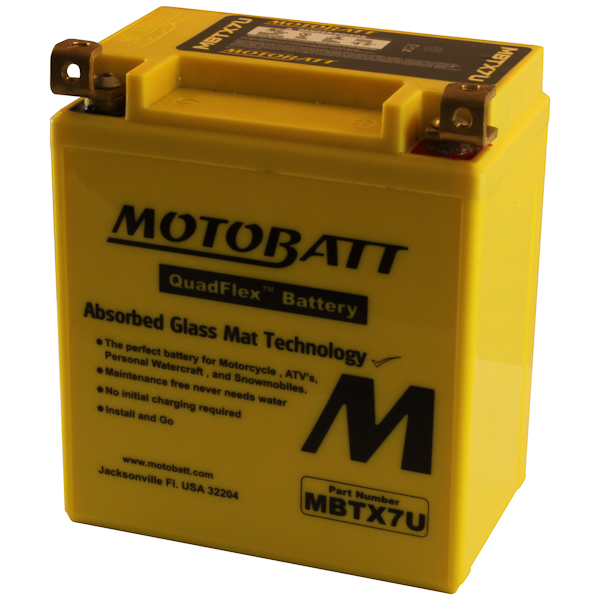 With the MBTX14AU you're not going to fall into the typical PowerSports battery designs available on the market today - which have not changed for many years. Along with the Quadflex post technology, the MBTX14AU comes with 4 posts now, so that you can evenly distribute the load across the product and not overload single terminals. With a two year free replacement warranty, the competition doesn’t stand a chance when it comes to performance, reliability, and service of motorcycle, ATV, and snowmobile batteries. 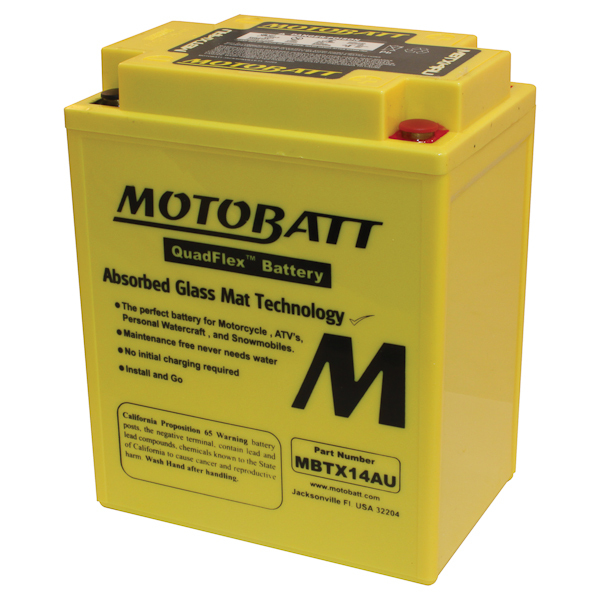 Battery Outfitters is your motorcycle, ATV, UTV, and PWC online battery store. 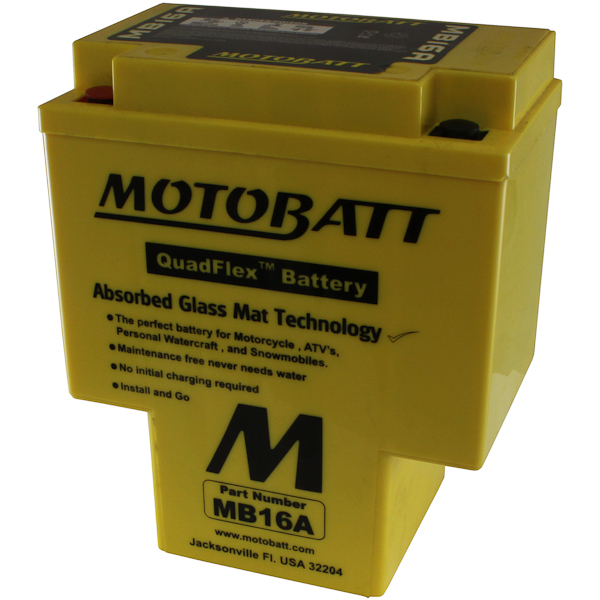 Find online batteries at Battery Outfitters today.